This is a fully assembled, mono audio 10 watt (12-14 watts max) FM broadcast transmitter suitable for establishing an FM broadcast station with a range of 2-6 miles with an antenna installed at least 30 feet above the ground. 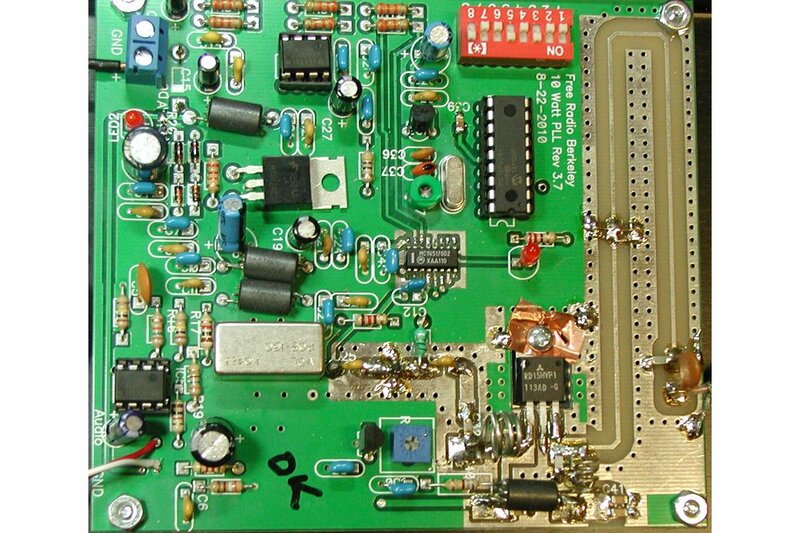 It may also be used as an exciter to drive higher power FM amplifier pallets for increased power and range. 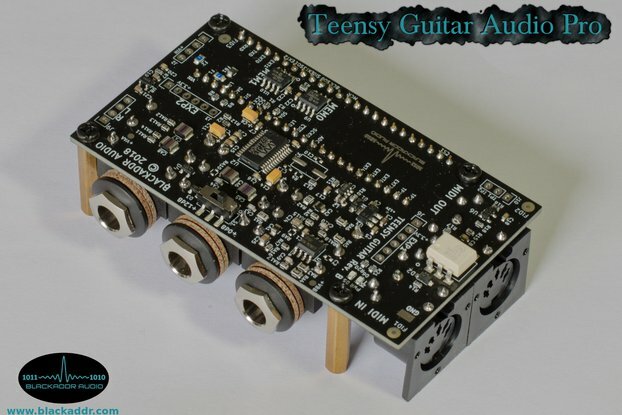 Audio input is line level mono audio taken from either an audio mixer or the audio output from a computer. An 8 position DIP switch is used to set the transmitter to any of the standard FM broadcast frequencies from 87.9 to 107.9 MHz. Frequency setting chart is included. Frequency stability is assured by a Phase Lock Loop control circuit. 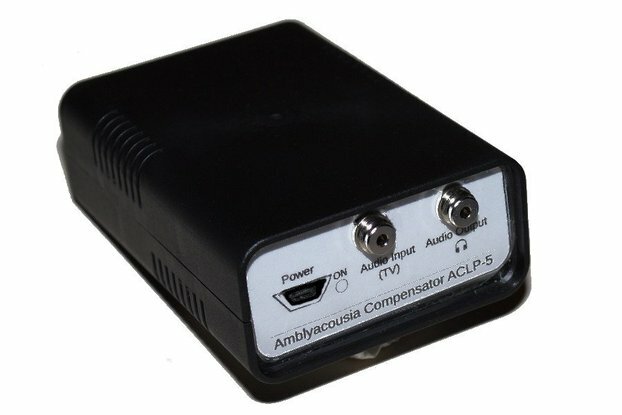 Unlike most of the inexpensive Chinese transmitters which use an FM transmitter IC (not noted for spectral purity nor high quality audio), this transmitter/exciter is broadcast quality due to the use of a fully shielded VCO (Mini Circuits POS-150)combined with a discrete loop filter and PLL IC. Further, a much larger heatsink is used to ensure the longevity of the RF output transistor. Output power is adjustable from 0 to full power. Operating voltage is 14 volts at 3 amps. Suggested power supply is a Meanwell RS-50-15 adjusted to 14 volts. 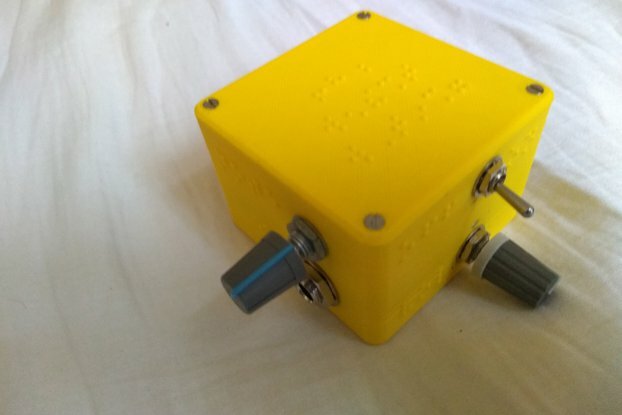 The transmitter is mounted on a metal plate with a heatink, suitable for placing in a larger chassis. A drilling and cutting template is provided if mounting on an enclosure panel is desired. All connectors are included.